Whether you are suffering from back pain, neck pain, headaches, or even just plain old muscular tightness and tension, Ricketts Chiropractic is here to provide you with treatment options. Specialized treatment plans for whiplash, auto accidents, lumbar and cervical disc issues, and spine arthritis. CALL (563) 588-0500 to schedule an appointment! 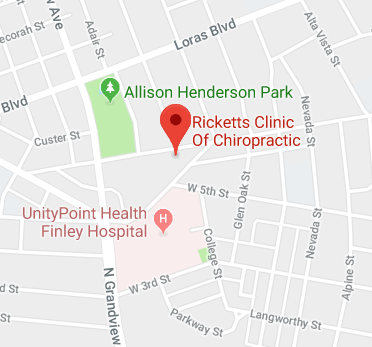 Dr. Robert Ricketts utilizes the experience of 155,000+ chiropractic treatments on over 4000 Tri-State residents to help provide a customized treatment plan for you. Whether you are suffering from back pain, neck pain, headaches, or even just plain old muscular tightness and tension, Ricketts Chiropractic is here to provide you with treatment options. .Click Here to learn how decompression therapy can eliminate disc, low back, and sciatic pain for good! Dr. Ricketts has been freeing people from pain since 2002 in his clinic in Dubuque, IA. As a Chiropractor with experience, our professionals are committed to promoting the health and well being of his patients.